You got some Molyneux on you. I love Fable. The first game of the series is exemplary of how a game can really embrace a theme and make something magical. And it never really had a chance to be amazing thanks to Peter Molyneux going full Molyneux. For those of you who not familiar with Mr. Molyneux, he is a game designer who made several “god games”, a subgenre where the player is given godlike powers to shape the world and people around them. After making hits like Populous and the Black and White series, he turned his focus towards games about heroics and legendary figures, which spawned Fable. In the game, you take on the role of a small boy, a little nobody from a podunk village, who survives the razing of his hamlet. From there, you learn how to be a Hero, a being with immense power, whether it comes from your strength, guile, or affinity with magic. Your choices affected the way NPCs interacted with you, and it even altered your appearance. If you had a good alignment, a halo formed above your head, and you grew horns and your eyes glowed red if you had a more dastardly disposition. Oh, Oakvale. You’re so much better when you’re not on fire. The world of Albion is constructed to feel like it came out of a fairy tale. Homes and buildings are designed with an exaggerated medieval European style, your armor and weapons fit with the theme, and the villains range from minor goblins called Hobbes to massive trolls. The wilderness is lush and verdant, and when more demonic forces arrive, the world is given a reddish/orange hue, as if Hell is following in their footsteps. The British sense of dry humor is a fine bow to put on top of the whole package. 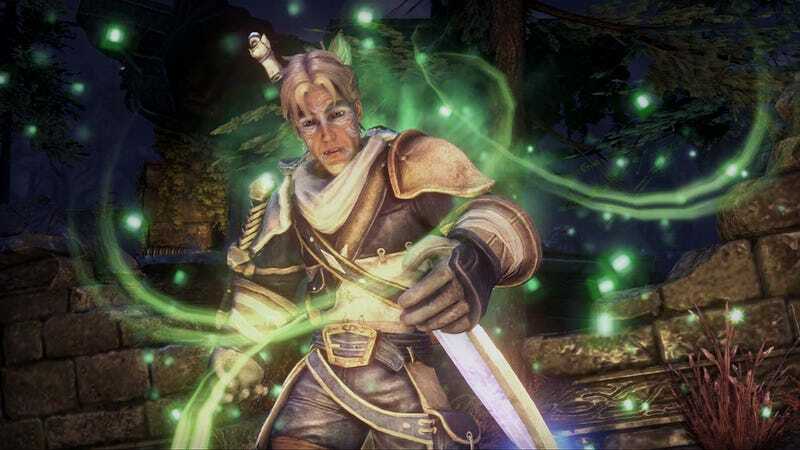 For how well-executed as it was, Fable is generally seen as a bit of a failure. Yes, it did sell well and spawn numerous sequels of varying quality, but due Peter Molyneux’s hyping of the game during its development, it was set up to underwhelm. It was going to be an open world to explore, he said. He told us that we could have children in the game, and they were going to carry on with our quests once we died whether from battle or old age. He promised that if we knocked off an acorn from a tree, it would into a new one over the course of the game. Using hindsight, all of this seems ridiculous, if not irresponsible, for a developer to promise nowadays, much less back in the early 2000's. His penchant for overselling his games is so legendary that when other developers do it, people call it the “Molyneux Effect”. It is why games like No Man’s Sky, a fine game, get so much flak when they arrive and are nowhere near to what was advertised. I personally liked both Fable and No Man’s Sky, but when you expect something that will forever change the way games are designed and are instead given regular game that’s well-done, you are going to get some upset customers. Fable is a wonderful game that let’s explore your own morality, view various situations from different perspectives, and has some of the best usage of magic I have encountered in video games. It would have been a classic, but unfortunately, some people can’t stop digging holes with their mouths. If the hype seems to good to be true, then you might be experiencing the Molyneux Effect, and you’ll need to lower your expectations a bit.